The Z4 replacement, which could be renamed the Z5, and Toyota’s Supra successor will be built at the Austrian factory in Graz in 2018, according to the local newsparer Kleine Zeitung. The report also says that the planned annual production is set at 60,000 cars for both models. BMW has already announced that they will give Magna Steyr a contract to build a new model after killing off the production of the MiniPaceman and Countryman in Graz this year, without saying which model it’s going to be. A spokesman from Magna Steyr said that they are not in liberty to reveal which BMW model is going to be produced at their facilities, with both BMW and Toyota refusing to comment on the report. 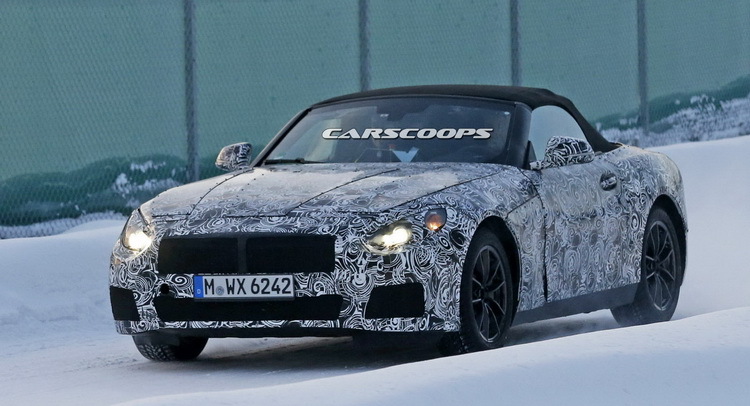 A prototype of the Z4’s replacement has been spotted during some cold-weather testing, revealing that BMW’s next roadster will ditch the folding hard top for a traditional canvas top. The two sports cars will share the shame platform, with reports claiming that the Japanese manufacturer is also going to use a modified version of it for the next GT 86. BMW is expected to show the Z4 successor sometime in the first half of 2017, with Toyota probably to follow on a later date.